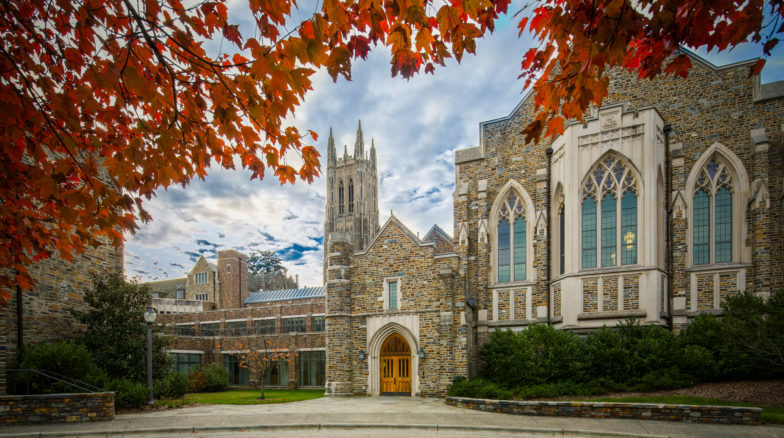 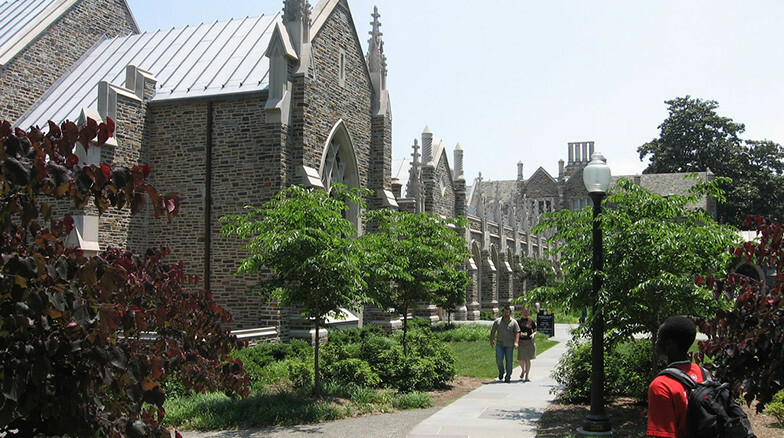 The new 53,000 square foot addition to the Duke University Divinity School blends traditional Collegiate Gothic and contemporary adaptations of architectural style and site response. 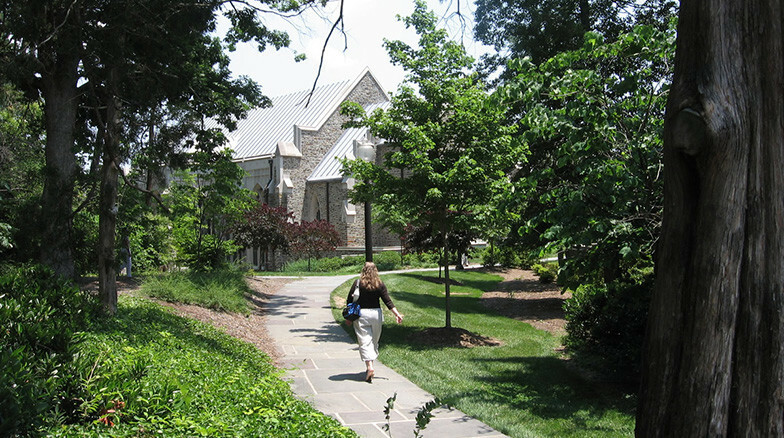 The building and site design exhibit Gothic quad materials and site treatments adjacent to the University’s Chapel to the east, transitioning to a forested buffer and more contemporary expressions to the west. 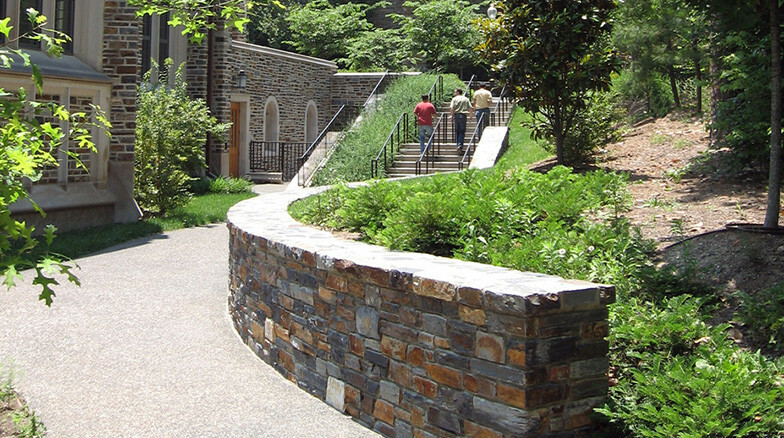 The new landscape extends the Chapel forest across the site to reconnect with the Perkins Library preserve. 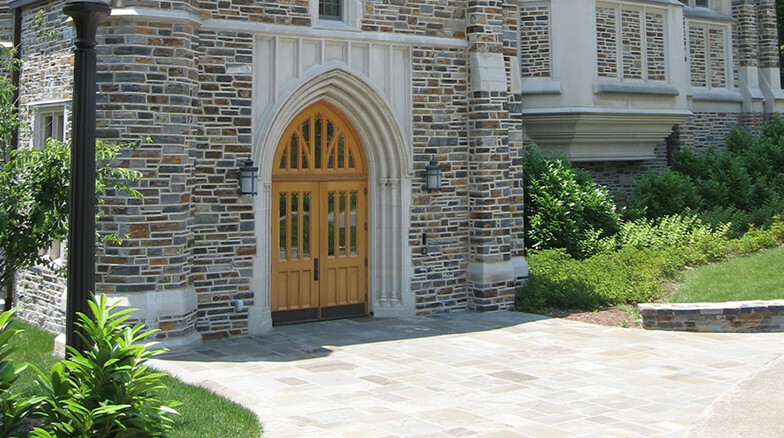 A discrete traffic circle provides required vehicular access among adjacent academic buildings, seating areas and plantings.